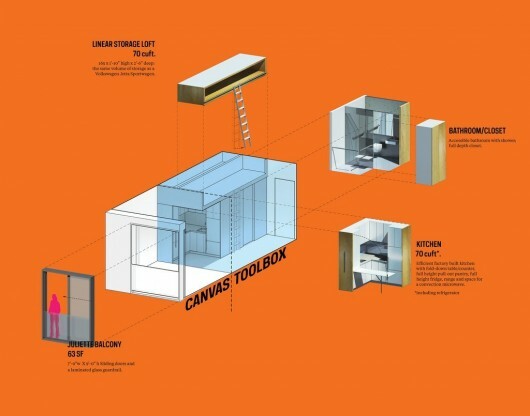 The first micro units design by nARCHITECTS will be unveiled in Summer 2015. 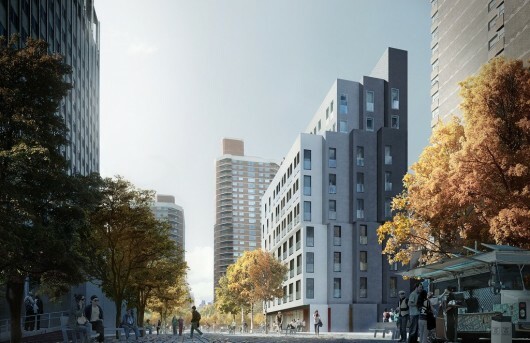 The 260 square feet housing units will be the first step in solving New York's demand for affordable housing and spacing for residents entering the New York rental market. The units will be stacked at the Brooklyn Navy Yard this spring. 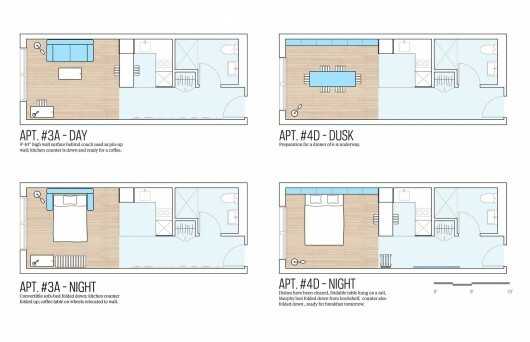 New York City zoning and density rules originally set a minimum apartment floor area of 400 square feet. However, this regulation was waived for My Micro NY in the interests of creating more affordable housing. The inflated rental market has made it difficult for renters those seeking housing in new york, particularly singles and students with tight budgets. The units will be comprised of 32 stories and 55 individual apartments, features include 9 and 10 foot ceiling heights, Juliette balconies, and concealed storage space.